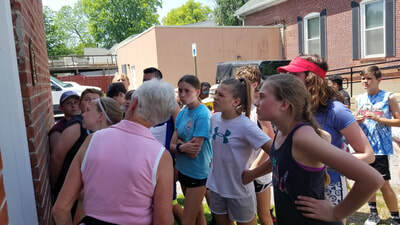 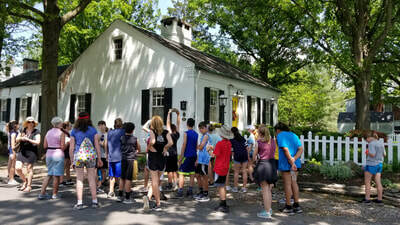 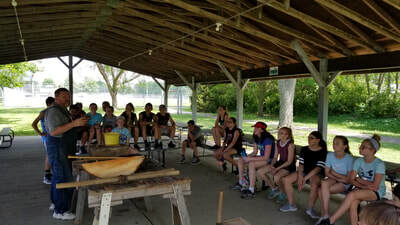 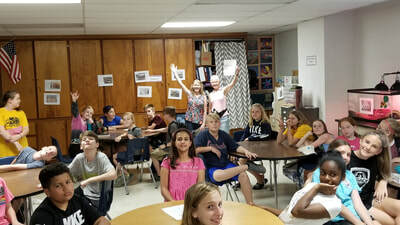 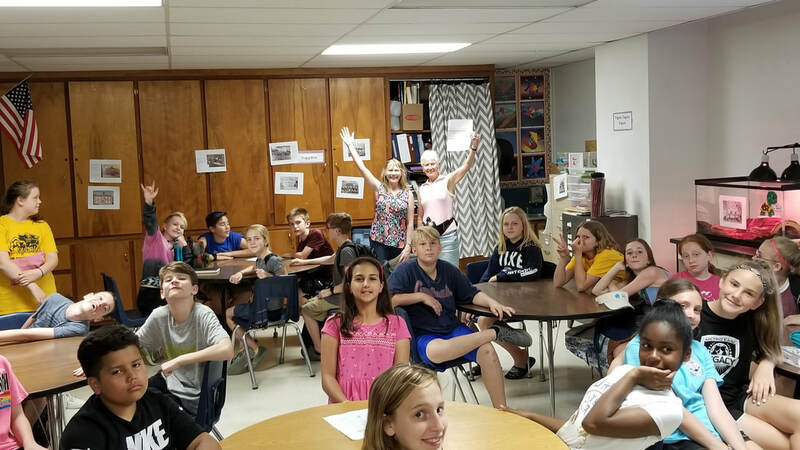 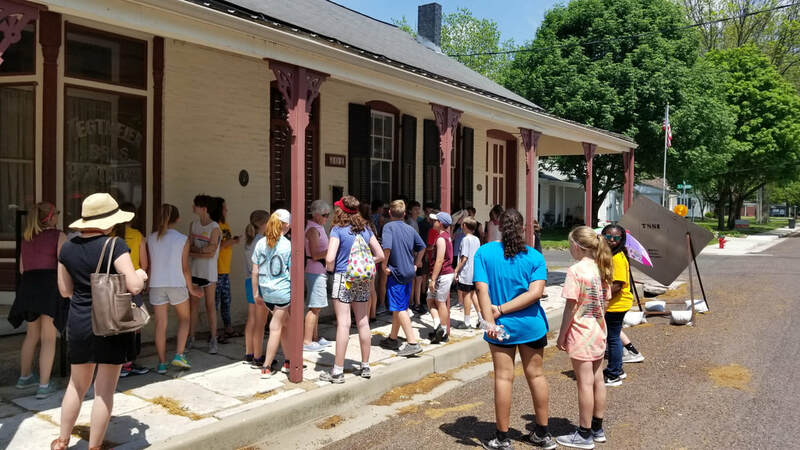 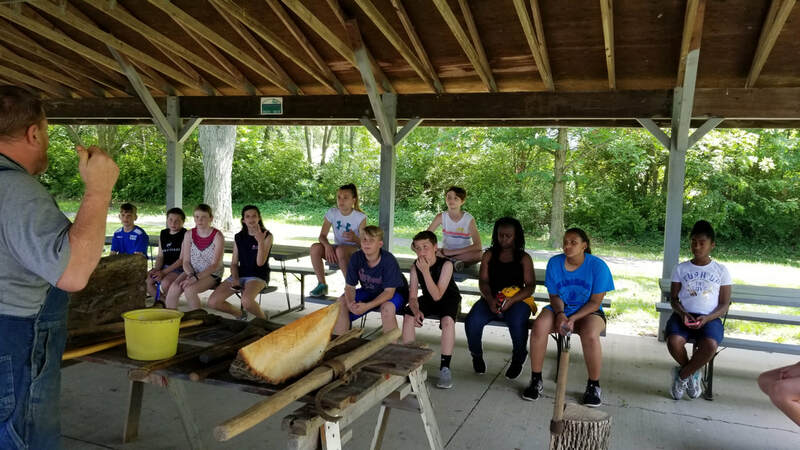 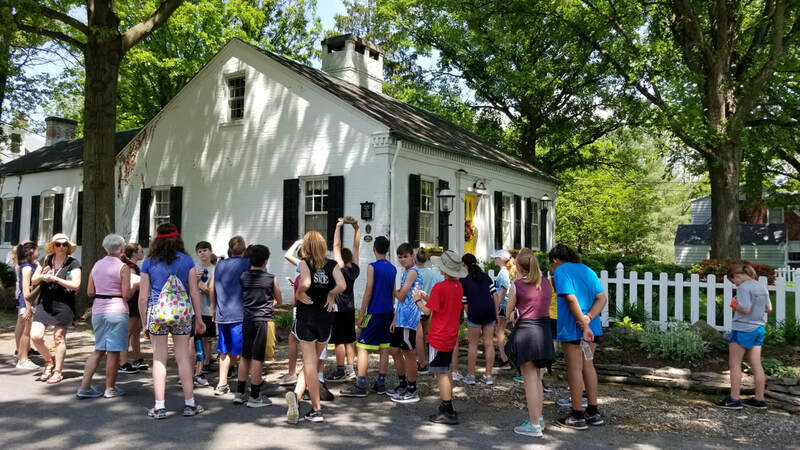 Millstadt Historical Society hosted a 3-mile historical walk of Millstadt on May 16th for the 6th grade students at MCS and St. James Catholic School with tour guides Marianne Schaefer and Phyllis Schaefer. 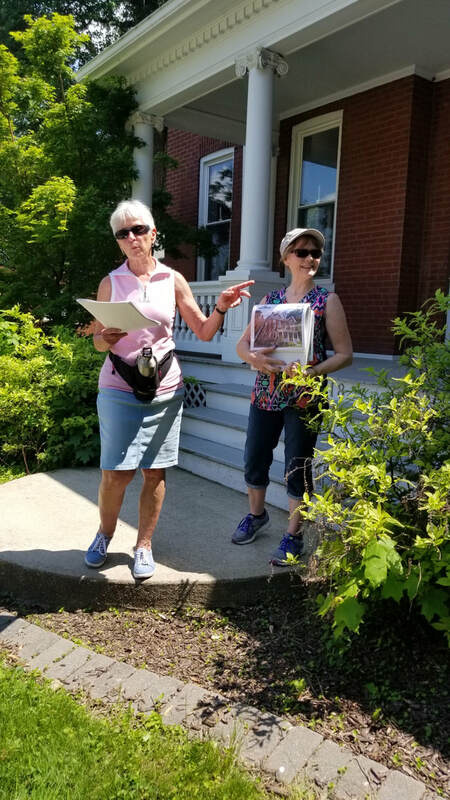 Many over 100 year/old homes and business were highlighted on the tour as well as photos of businesses that were once successful that no longer are in existence (Joseph Marxer’s Brick Yard and Morgan Mine Tipple on Breese Street as well as the Millstadt Brewery). The tour ended with an inside tour of the Millstadt Historical Society’s log cabin which was moved from E. Mill and N. Mulberry to Kalbfleisch Street and restored. 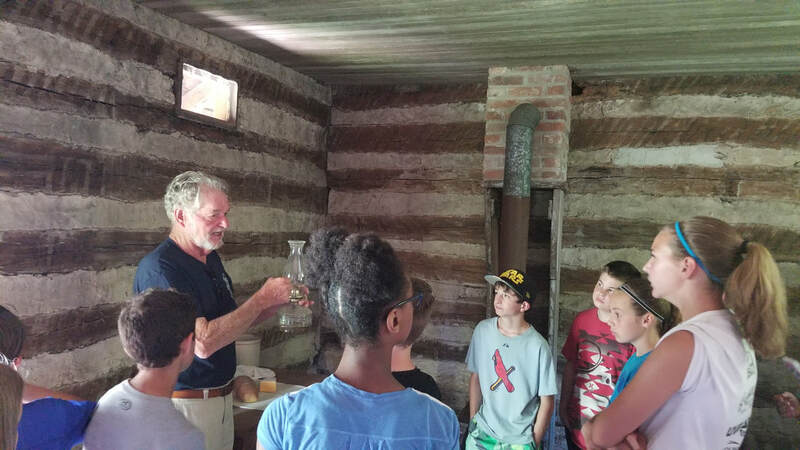 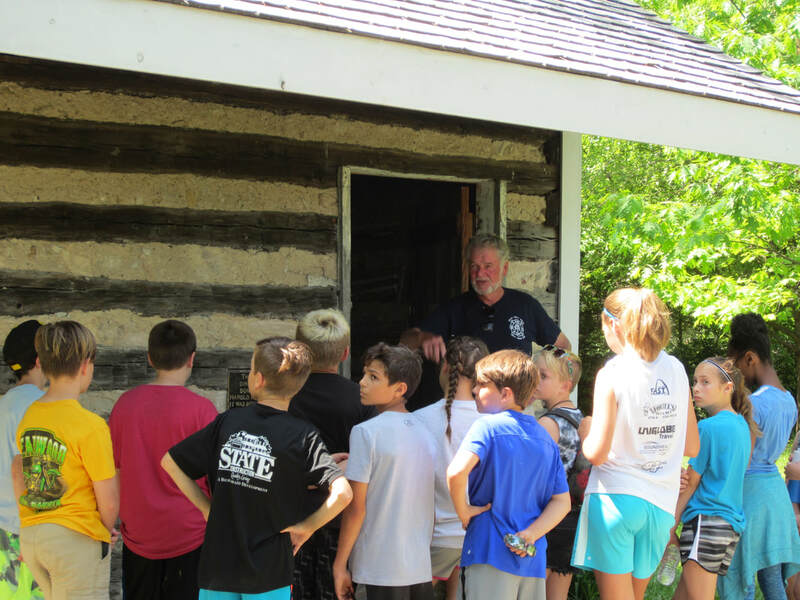 Glenn Schaefer told the students what daily life was like in the mid 1800’s when he believed the log cabin was built. This was followed by Cliff McNames, who demonstrated handmade tools used to build a log cabin during that era. 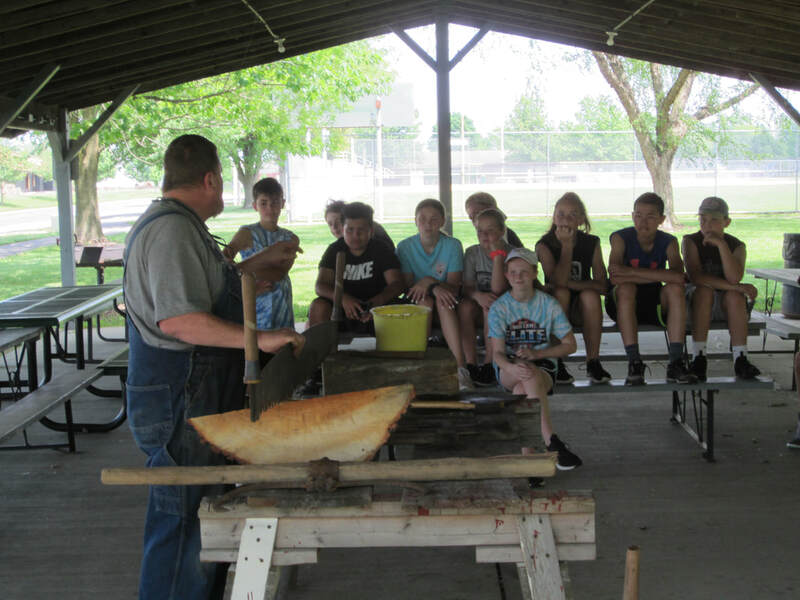 He shared a collection of the handmade tools used along with square nails available for students to view.